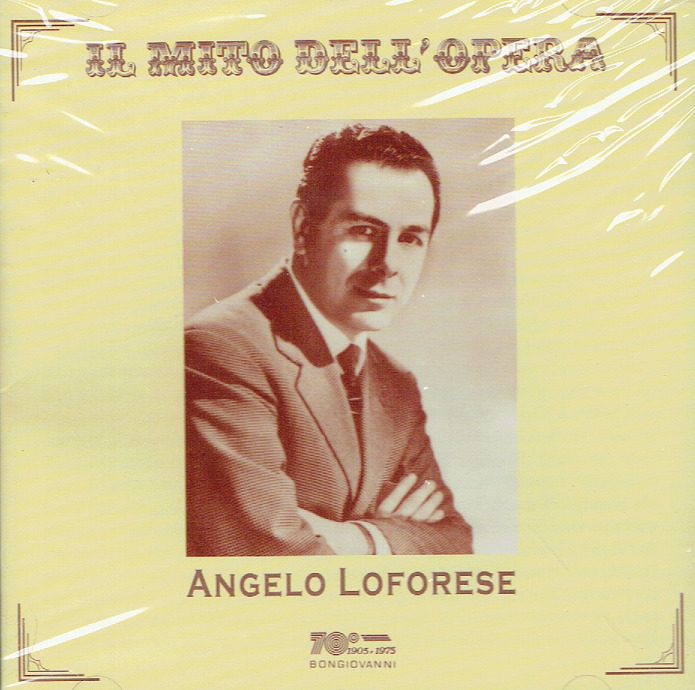 Lo Forese was born in Milan in 1920. He began his studies in 1938 and stopped in 1941 when he fled Italy for Switzerland during World War II. He returned to Italy after the war and made his dÃ©but, as a baritone, in PAGLIACCI as Silvio. He continued his studies, including lessons with tenor Aureliano Pertile who became a star at La Scala in 1916 and at the Met in 1921. 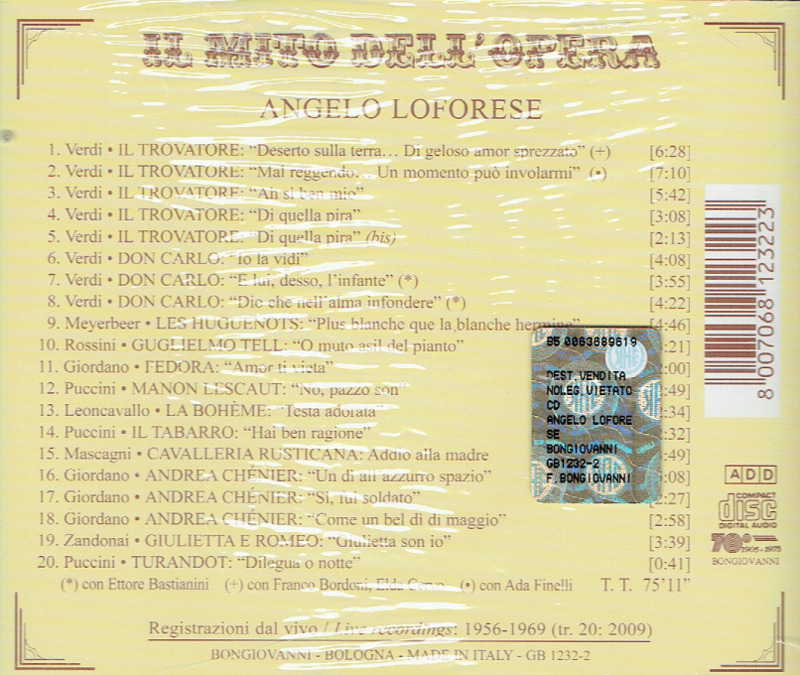 Lo Foreseâ€™s tenor dÃ©but was in the demanding role of Manrico, IL TROVATORE. It is music he still sings today. His rendition of â€˜Di quella piraâ€™ at the age of 90 is forceful, with impressive high notes and more fidelity to the score...."